Ponds, time and place. A Druridge Bay Northumberland blog: "....til the wild geese have flown"
"....til the wild geese have flown"
Shakespeare’s King Lear reckoned winter lasted until at least their departure. The cold has kept us indoors but Druridge Bay is exquisite in winter. Thursday morning I was up at Blakemoor and Ellington, the pastures still empty of ewes and lambs, the arable fields with bedraggled winter wheat rotting away. The North Sea has been churned all weak into a deep iron blue. 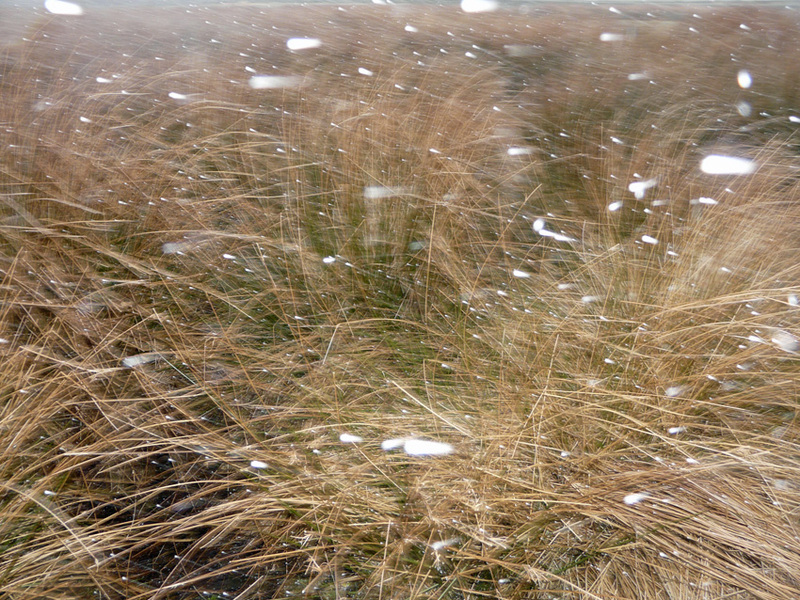 Theatrical sheets of snow whipped in, the sort of snow dry as polystyrene bobbles, bouncing off jackets and hats. The easterly blast blew in some surpirses; a taxidermist asking me if i'd seen his friend who he'd lost searching for the wreck of puffins that has been washing up all week. The final snow wall was trailed by a barn owl, drifting in on the eddies behind the snow front. I was out doing the first complete census check of ponds. As usual there were surprises, many of the shallower sites dried out but many of the tiny pools and ruts in gateways more conspicuous. the number and extent of ponds chnages significantly with season and year, which begs some tricky questions for surveys which rely on just one snap-shot visit in one year. A few dollops of frog spawn wallowed unconvincingly. We are keen to get out and collect a full range of sediment cores from across the range of pond types, but have been waiting for some new corers after our experiments with open sided screw-cores out of which the runnier top sediments dribbled (see 1st March blog). This has left Scott and Pete largely stuck in front of computer screens. However Dave Cooke has been welding and forging a new design. If the wild geese ever leave we will soon be back out.